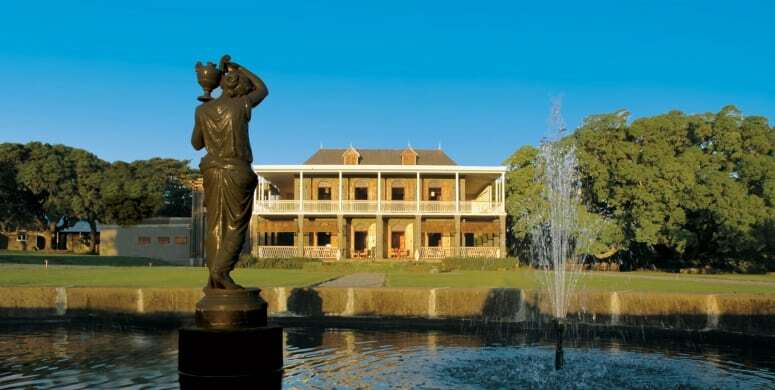 The Heritage Le Telfair golf and spa resort is the perfect place to kick back and relax. Leave your worries behind as soon as you step off that plane and immerse yourself in the blissful island life of Mauritius. This luxury 5-star resort provides you with many dining options, bars and activities to try out whilst surrounded by luscious tropical gardens for you to enjoy. The stylish architecture and interior design of the hotel is beautiful and the high level of service by the staff will make your stay as relaxing as possible. These sleek and stylish rooms will make your stay at Heritage Le Telfair very comfortable. All rooms are equipped with a king sized bed, private terrace or balcony, and a gorgeous en-suite bathroom. Upgrade to a junior suite and enjoy even more space and luxury. The junior suite features a king-sized four poster bed, and elegant period-style furniture. The room also has a sleek en-suite bathroom and a private balcony or terrace. The senior suite offers ultimate luxury and intimacy. The four-poster linen draped bed and separate dining and lounge area will make your stay very comfortable. Each suite includes a beautiful veranda or large balcony, boasting unbeatable sea views. If closeness to the beach is essential to you, then the Ocean suite will definitely tick all the boxes. These exclusive suites offer the ultimate 5-star luxury experience. Enjoy your own private terrace, dining area, lounge and gorgeous bedroom equipped with a romantic four-poster bed and spacious dressing room. The Ocean Suites are the epitome of 5-star luxury and comfort. Set in a 19th-century mansion, this gourmet restaurant is definitely one to try, with stunning views of the golf course and the sea, it is the perfect place to enjoy a romantic meal. This is the main restaurant at Heritage Le Telfair. Its chic and elegant design is inspired by colonial estates of the past and provides you with a fantastic dining experience. If you want traditional Mauritian cuisine, then give Annabella’s a try. Breakfast is served here from 7 am – 10 am. This restaurant is perfect for a light lunch or an evening drink. The beach is right on the doorstep giving you fantastic sea views. Have you food by the pool or in the restaurant. The staff are very happy to accommodate your needs! Twice a week, the Heritage Awali Golf & Spa Resort hosts a campfire meal in its family restaurant called the Boma. In Swahili, the word ‘boma’ means a gathering place. Tuck into a succulent char-grilled traditional African meal which is all prepared using local produce, game from the Frédérica Nature Reserve or freshwater fish. Vegetarian dishes are also prepared. The Domaine Bel Ombre has two spas for you to relax in. You will be offered a range of treatments to choose from. If you are looking for the ultimate relaxation experience, then the Heritage Le Telfair Spa is the solution to your problems. The Domain Bel Ombre is home to its very own game reserve. This large sanctuary is home to several exotic animals including monkeys, parakeets and wild boars. You will have the opportunity to observe the animals in their natural habitat. The resort has several activities for you try out during your stay. Join the yoga class, beach volleyball or play a game of tennis. For those of you who are looking for something extra, why not sign onto a segway tour, horse riding on the beach or quad biking. You definitely won’t run out of things to do!